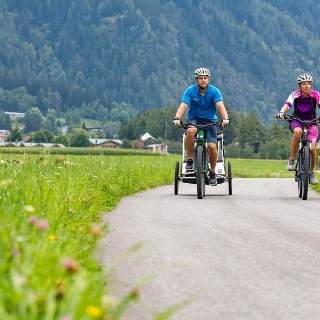 The first stage of the Ötztal Cycling Path (52 km) starts in Haiming and ends in Oetz. About 14 km long, this stage is perfect to explore the diversity of lower Ötztal. 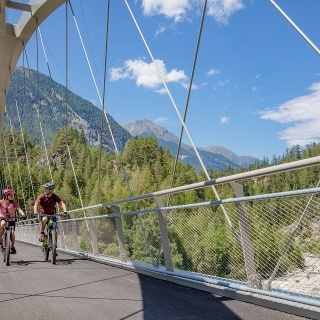 The cycle path starts in the center of Haiming and leads via the hamlets of Magerbach and Schlierenzau to Ötztal Bahnhof where the route runs several hundred meters parallel to the railway tracks and bends southwards at the height of ​​Area 47. Along the rushing Ötztaler Ache brook you cycle to Oetz.